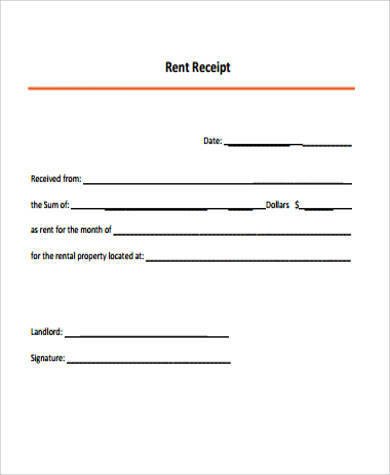 Receipts are documents that acknowledges that a payment has been received for a particular item/service being sold. 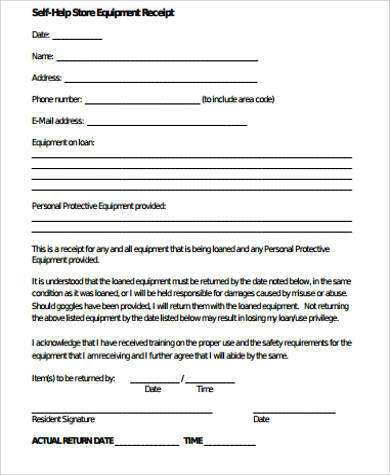 They can either be printed or written on paper, or can be digitally sent to the person or organization that purchased the items or utilized the service. 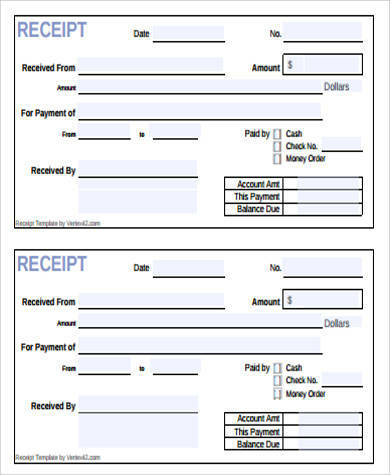 For any sales transactions, whether through cash, credit, or check, receipts are important. 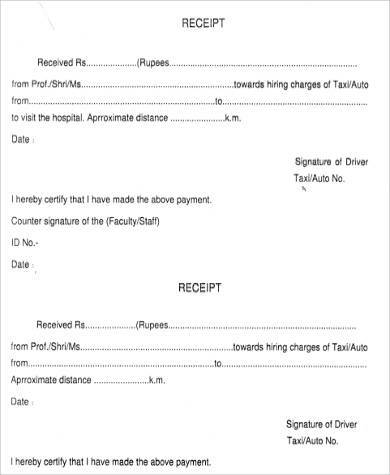 This document serves as proof that said transaction existed between the seller and buyer. Receipts can just be any piece of paper torn out from a book with written details and agreements regarding the sale. 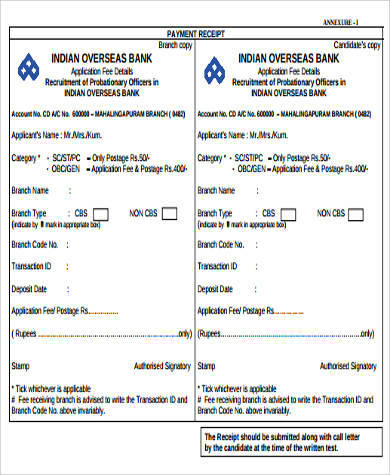 But making use of receipt templates and customizing one for your business can give a more organized impression. 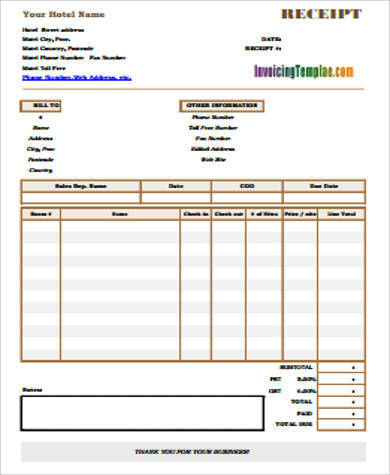 There are multiple Sample Receipts available that can be downloaded, edited, and be issued to your customers. Receipts are very essential. A good example would be when it comes to disputes about the product or service offered. With receipts, it would be easier to track down when the sale happened and what the item/service was. This helps to keep a good relationship between the buyer and seller. Whether you are a large-scale businessman, a retail store owner, an online seller, or a service provider, receipts play an important role in your business. What are generally included in receipts? 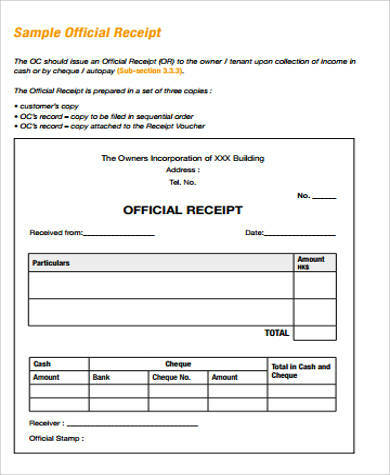 You can also take a look at our Sample Receipt Vouchers and Payment Receipt Samples for more information about receipt templates. 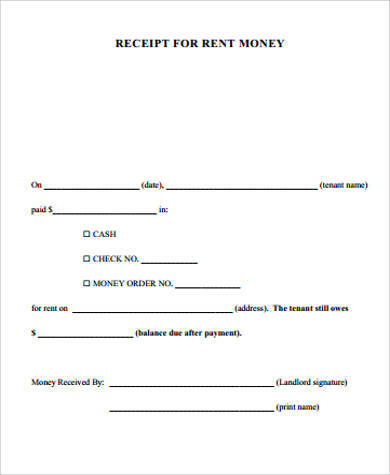 Receipts should be issued for any type of financial transaction. This will aid in avoiding hassle when it comes to disputes between the customer and the seller or any other conflict or misunderstandings that may arise due to the transaction/s made. It can be easy to deal with and can be countered with professionalism. For businesses and organizations, it can also be beneficial when it comes to taking into account the sales and revenues, promotions and discounts, and allowances. It will be easier to make financial reports and do daily inventories through the use of receipts. 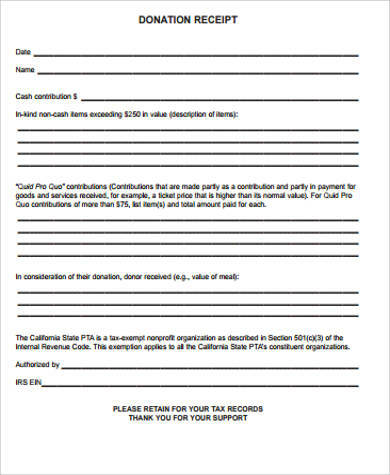 Ready-made receipt templates will be easier to handle whenever you want to issue more professional and polished-looking receipts. 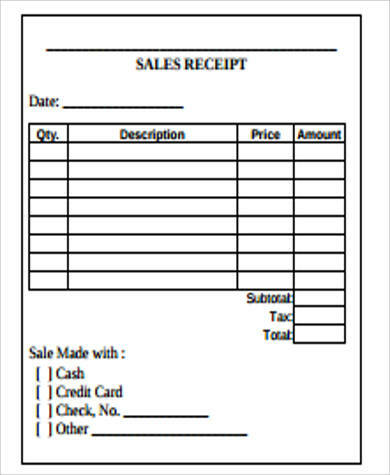 Our Receipt Samples in Word are come in a variety of forms, simple formats, and designs. 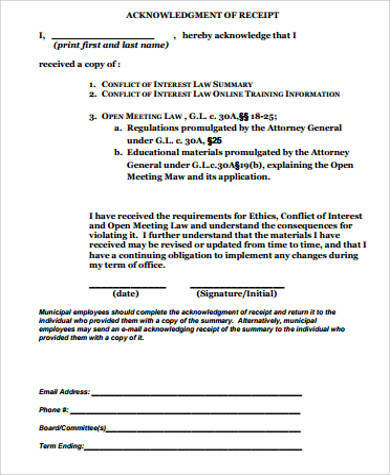 These can be used by any organization or business and are especially vital during the start-up phase whenever official forms and formats of documents are not yet ready for use. You can save time because there would be no need for you to make your own design for your receipts. Choosing the format that would best suit your company’s needs is very convenient. With the wide array of choices you can choose from, it’s an assurance that you will be able to find one that would be preferable for any of your business undertakings.